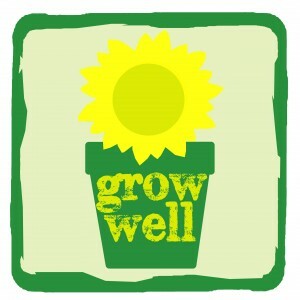 The Grow Well project launched in September 2012. We work with local people across the Hammersmith and Fulham borough to provide therapeutic gardening sessions for carers to give them a break from their caring responsibilities and supported volunteer gardening sessions for people who need a bit of extra support hopefully leading to participation in our regular volunteering sessions. The project is supported by Hammersmith and Fulham Clinical Commissioning Group. During the 2016/17 winter the project was run at Sycamore House and we are very grateful to Hammersmith United Charities for inviting us. Through our term-time programme (one half day session per week) volunteers are able to try a range of practical gardening activities. This programme is aimed at people who initially need a bit of extra support to increase their confidence and hopefully leading to participate in our regular volunteering sessions. A number of our existing volunteers also attend the sessions in the role of peer mentors and this allows new volunteers to undertake activities at their own pace. At the end of the programme volunteers have an individual review and are encourage to join in other suitable volunteering sessions within the organisation. Our programme for carers runs on a Tuesday afternoon and includes a wide range of gardening related activities. The relaxed sessions allow carers to take a break from their caring responsibilities as well as learning new skills and trying new activities. For hints and tips on how to carry on gardening after illness or with physical disabilities please visit Thrive’s Carry on Gardening Website.